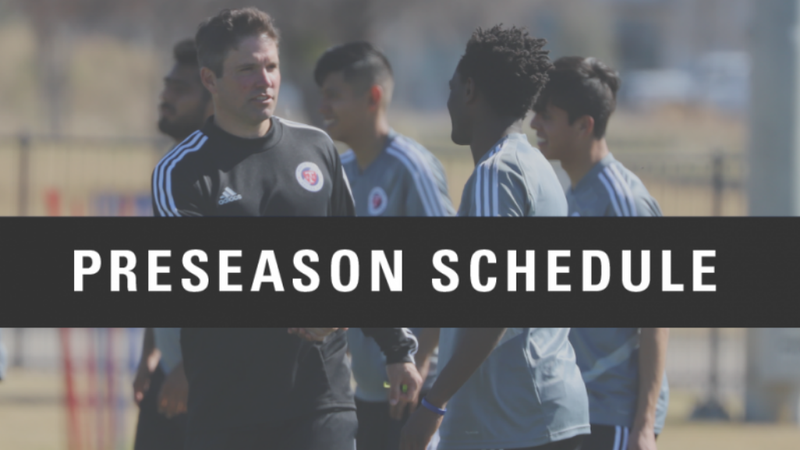 FRISCO, Texas – North Texas SC revealed its 2019 preseason schedule on Wednesday, with the club set to partake in four friendly matches in Frisco ahead of its inaugural season in USL League One. The club will kick off its preseason slate against USL Championship opposition as the Swope Park Rangers visit the Toyota Soccer Center on Feb. 13. The contest is scheduled to take place on RAV4 Field 4, with kickoff scheduled for 12 p.m. ET. The team’s following three matches will be part of doubleheaders played at Toyota Stadium directly following FC Dallas home games. North Texas SC will play its second preseason match against local amateur side NTX Rayados on Saturday, March 2, with kickoff scheduled for 7 p.m. ET following the conclusion of FC Dallas’ MLS home opener against the New England Revolution. The following Saturday, the club will take on the University of Tulsa at 6 p.m. ET, before concluding its preseason slate against Southern Methodist University on March 23 at 7 p.m. ET. The three matches held at Toyota Stadium will be open to fans who purchased tickets to the FC Dallas games taking place beforehand. Tickets for those matches are available at FCDallas.com/Tickets.